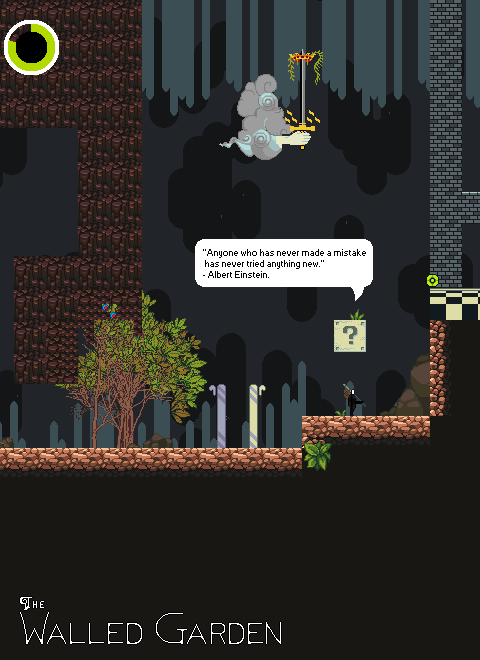 The Walled Garden is a platformer RPG set in a surrealistic Garden of Eden with procedurally generated trees which grow from a destructible environment which subdivides as it is destroyed. Inspiration for TWG stems from video games such as; Super Mario Bros, Flashback, N+, Zelda & Super Metroid. With artwork inspired by Hayao Miyazaki, Zdzislaw Beksinski, Hieronymus Bosch, Salvidor Dali and many Esoteric Illustrations. The game assimilates esoteric symbolism to video-game iconography via the appropriation of existing source materials. Essentially TWG is a interactive representation of the pictogram depicted on each tarot card. Wow.. I haven't posted in 120 days. 130+ days since I've worked on the game physically. Never for a second think that this game project is over with, it's one of the only constants in my life. Earlier this week I brushed the dust off the Ol' Walled Garden. Started realizing it felt empty. There wasn't enough variety in the movement from the creatures, there wasn't enough of them. I had forgotten that the key aspect of TWG was the creatures, and the way they interacted around one other. This game is obviously heavily inspired by Mario Bros. So obviously the Turtle is a main creature within my Game. Every game needs it's basic movers. Each one needs variation to create a good sense of change. People keep ragging on me about how many things I've taken away from Mario Bros.
Turtles are an important symbol in mythology, it supports the world on it's back. So you must understand that the three main creatures in my game are Snakes, Turtles and Elephants. With the introduction of the Frog jumping on the Turtle shells randomly, it really opened up a lot of emergence to occur. Things started happening that I couldn't predict would happen within the game. Sure I set it up to occur, but the game decided when or if it would happen or not. Realizing I could take this interaction and spread it to different creatures. I came back to our old friend the DrillPig. Drill pig is basically a small blind elephant/pig. It should have a short temper, and be like a bull in a china shop when it's not happy. My girlfriend suggested yesterday that I make a little mouse. A quick little creature that doesn't need to have much of an effect to cause some big changes. For example let's say we make it so the DrillPigs really don't like Mice near them. Suddenly you're not the only one causing a ruckus. 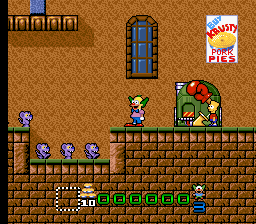 The Rat/Mouse could also be used for puzzles like in Krusty's Funhouse. 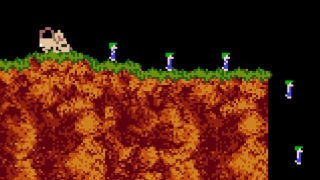 It makes a great little lemming type creature. Added some basic spiders to add some more basic vertical up and down enemies. Cool game man, especially that tree growing and platform changing gun. tracking. Oh holy crap, I remember playing the super old 2012 demos when I came across this, I had no idea it was being worked on, looking really cool. tracking. Wow that's intense not many people have played the 2012 demo. So it's great to see you back again - There should be a new demo just as soon as the first chapter is fleshed out to my satisfaction. I think it looks awesome totally love to play it. Wish I had a few bucks to donate but ill gladly purchase it when it comes out. Glad you like how it looks, no worries about donations. Have you had a chance to try out the demo that is on indieDB already? It's pretty old to the new demo that will be coming out very soon. If anybody wanted to interview me for a podcast, I wouldn't say no. The intent is to inform via self education without a malicious aim to gain profit from such a system.